The Supports for Community Living Waiver and the Michelle P waiver are Medicaid paid services for people with intellectual or developmental disabilities. These waivers are intended to assist individuals to live and participate in the community rather than in an institutional setting. Currently, there is a waiting list for both the SCL and MP waivers. There are close to 7000 people on the MP Waiver waitlist and 2500 on the SCL waitlist. 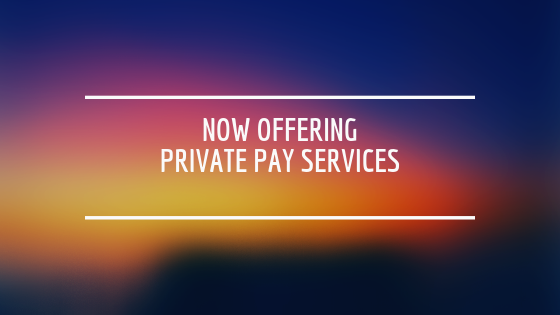 Path Forward of KY is now offering a private pay option for people who need and want individualized services but are not on a Medicaid waiver. We are offering all services that we currently provide through the waivers by the same direct support professionals who provide waiver services. Community Living Supports/Personal Assistance/Companion Care: a one on one service that enables an individual to accomplish tasks to increase independence and promote integration into the community. This service offers support and assistance with routine household tasks, maintenance, activities of daily living, shopping, socialization, relationship building, leisure choices, and participation in community activities. Case Management: assists individuals with disabilities navigate services, benefits, medical appointments, and advocates on behalf of the individual. Respite: support needed due to the absence of or need for relief for the primary caregiver. Behavior Support: professionally trained behavior specialist use positive approaches and ABA therapy techniques to help decrease challenging behaviors and increase coping skills and social skills. Supported Employment: ongoing job support after funding is no longer available through Office of Vocational Rehabilitation. We will assist the individual in maintaining employment in an integrated setting with competitive wages.